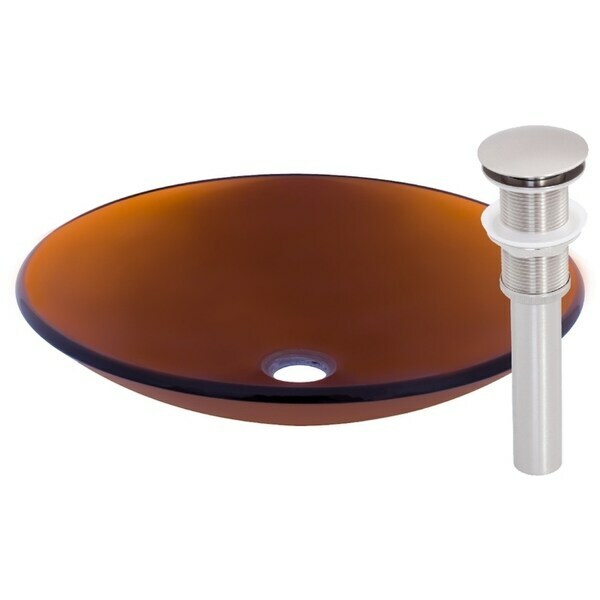 Give your bathroom an updated look with this translucent brown tempered glass vessel sink. The durability and clean ability of this vessel sink provides long-lasting style. The sink includes a brushed nickel pop-up drain with a matching mounting ring.